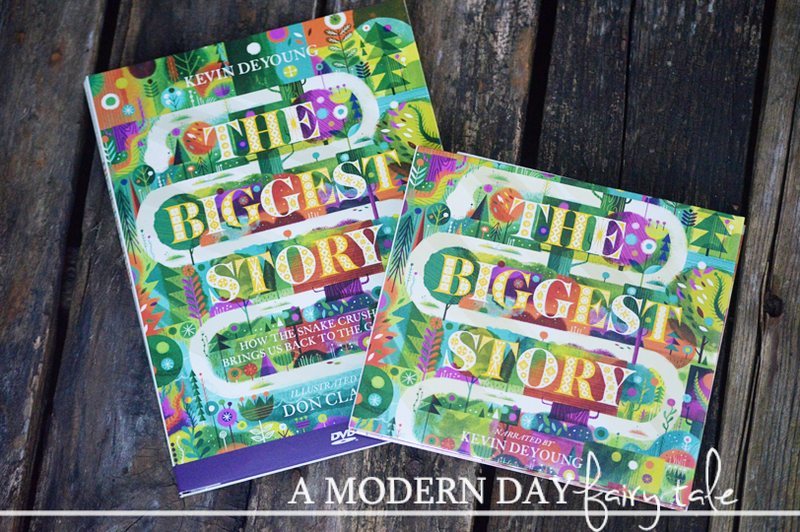 Earlier this year, I had the chance to review a beautiful Bible story book unlike any other I'd seen. In this stunningly illustrated book, the stories of the Bible from Genesis to Revelation were weaved together beautifully to show the Bible as it is- The Biggest Story. Not a series of independent stories, but a collection of stories that work together to create just one. If you loved the beauty of the book, you most certainly will love the animated short film too! One of the problems for my son with the book itself was that it is definitely longer than your average picture book. Not a huge deal for most, it was a book that can be read and enjoyed over several days. My son however has quite the short attention span for most things, so while he enjoyed the book, it was hard to keep him focused on it. The short film allowed him to take it all in at once! Again, we see that same beauty that we fell in love with in the book, but in film! Though this may have been made for children, I personally loved it as well. These are not your typical cutesy illustrations, but stunning works of art! This short film is a welcome addition to the book, but also stands alone as well. Then comes the audio book. Now honestly, I'm not usually a big fan of audio books, so I wasn't sure how I'd feel about this one. I tend to prefer to read the books on my own. My son however loved this idea... he's a great reader, but again that attention span! The audio book made it a little more fun for him. I must admit, that I found myself enjoying it as well. When I wasn't focused on the reading, I could instead step back and take it all in- the words as they are being read and the artwork on the pages. It allowed us a new way to love and experience this exciting tale. For those children who may not be as fluent of readers, it could even give them more confidence to work through and enjoy the story as they might not have been able to before! 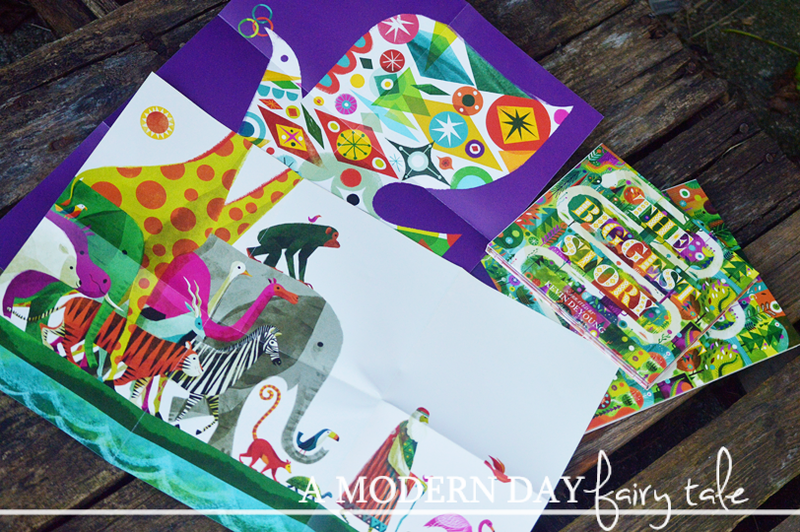 As an added bonus, both also include a gorgeous double sided poster with artwork adapted from the book! If you love The Biggest Story already, these are going to take your experience to the next level. If you have not yet experienced it, these will introduce you to a story of beauty like you've never seen before. The Biggest Story Animated Short Film and Audio Book are available to purchase now. my little girl would love to have The Biggest Story!